Dedicated Drupal development teams that work on new features, enhancements, and bug fixes. Srijan delivers continuous development and deployment for large websites and enterprise portals. Our clients get a dedicated team to work in two-week sprints, per month, that covers bug fixes, enhancements and new features. With our deep Drupal expertise, mature agile processes, a strong QA practice and devops and cloud experience, our Continuous Development support teams are able to ensure products and platforms evolve as per business requirements, and performance issues are well taken care of. Drop us a line below to discuss how Srijan's team can help you with Continuous Development. Here's all you need to know about Srijan's Continuous Development model, and how we can ensure smooth functioning of your Drupal implementations. 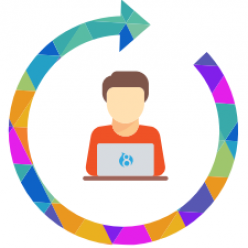 Get dedicated Drupal teams with flexible engagement duration and budgets. Leveraging Srijan's long-term Drupal Development services to great results. Aegir web control panel for Ashoka.org brings down process time.